Massachusetts Attorney General Maura Healey testifies before a legislative panel hearing at the Massachusetts Statehouse Tuesday, Feb. 6, 2018, in Boston. A lawsuit against Equifax filed by Massachusetts is moving forward after a judge in Boston denied the credit-reporting firm’s motion to dismiss the complaint, Reuters reports. Suffolk County Superior Court Judge Kenneth Salinger on Wednesday ruled credible the central claim of the lawsuit, which states that Equifax failed to prioritize safety and privacy of consumers’ sensitive and personal data. A breach of the company last year exposed sensitive personal data of some 145 million Americans. “Today’s order confirms that Equifax is not above the law and can be held accountable for violating the rights of Massachusetts consumers,” she said. In September, Massachusetts Attorney General Maura Healey sued in state court on behalf of 3 million Massachusetts residents whom Healey accused Equifax of failing to protect after learning of vulnerabilities in its systems. The lawsuit cites violations of state law including failure to safeguard personal information, failure to give prompt notice after a data breach, unfair acts or practices, deceptive acts or practices, and more. 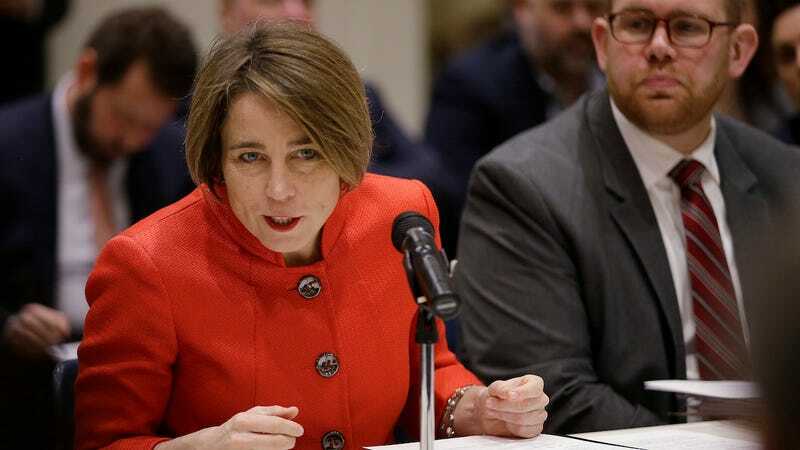 “We are suing because Equifax needs to pay for its mistakes, make our residents whole, and fix the problem so it never happens again,” Healey said when filing the suit.